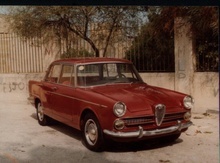 Following on from the success of the 1900 saloon Alfa chose to replace it with a more modern car, the 2000. 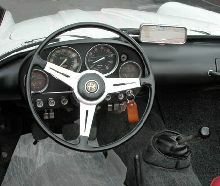 The 2000 used the same four door saloon layout as before and this time featured a five speed gearbox which had synchromesh on all gears. 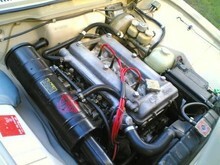 The engine had obviously been increased in capacity to 2.0 litres (1975cc). 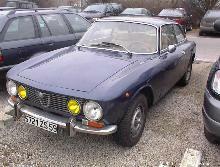 The styling of the 2000 was much squarer than before and looked similar in some ways to the Mercedes "fin-tail" models. 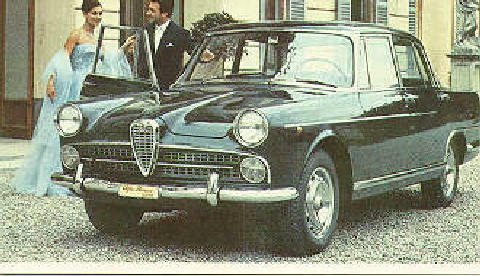 The 2000 sold in steady numbers until production ceased in 1961.